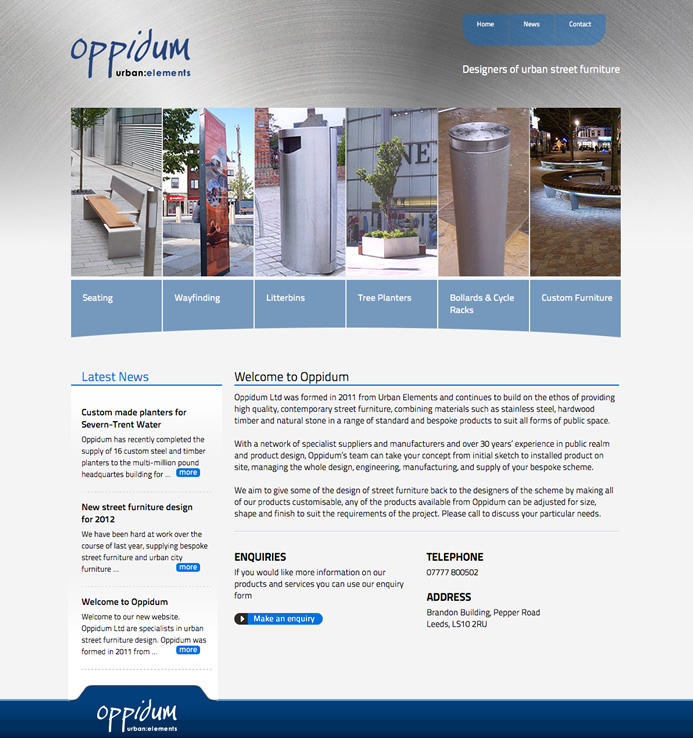 New website to showcase urban street furniture designers Oppidum – UE. 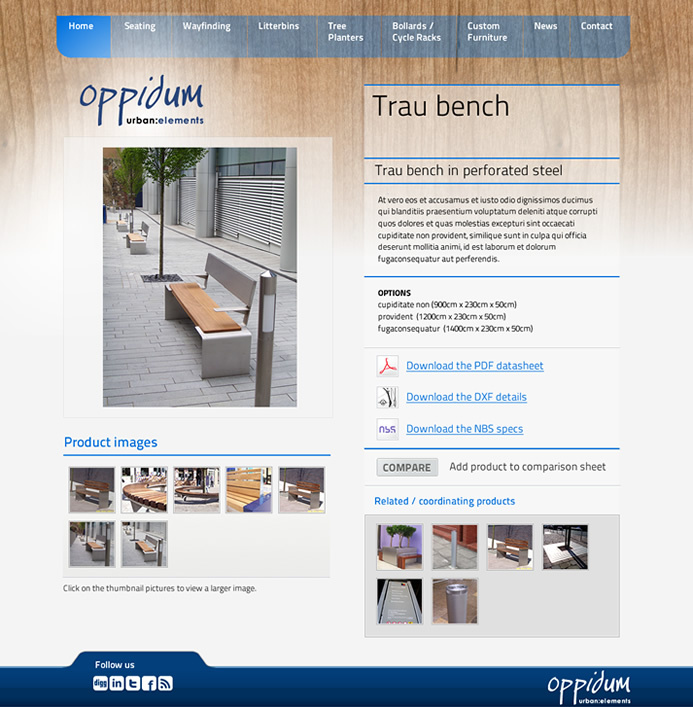 The website has a product uploader and will feature “compare” and “related products” sections that the website visitor can select to customize their order. The site was built in the WordPress environment, with bespoke theme design and customization of the database and client control panel. 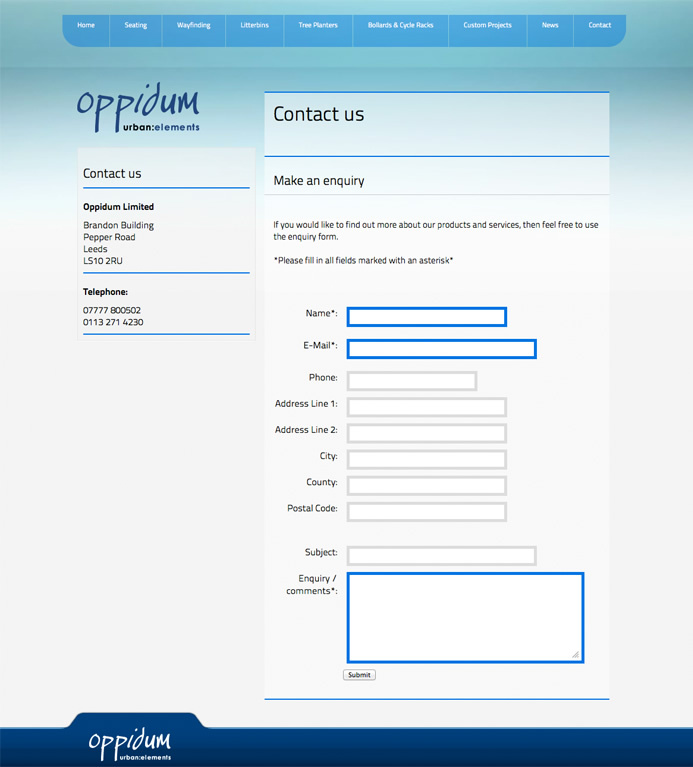 This entry was posted in Web development and tagged CMS, Oppidum, Website, Wordpress. Bookmark the permalink. Follow any comments here with the RSS feed for this post. Comments are closed, but you can leave a trackback: Trackback URL.